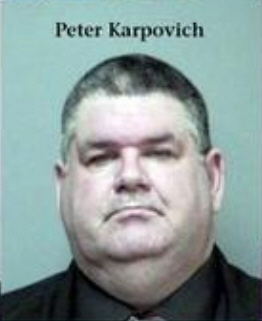 Peter Edward Karpovich III comes to us from Elmira, New York. He originated from Connecticut. Several people have reported that he tells a story of being a sniper that was on top of the Marine Barracks building in Beirut, Lebanon when it was bombed and rode the roof down. Although we did not hear or see that claim directly, there are indications that he promotes this persona of himself. 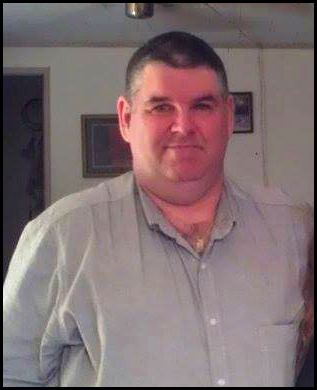 In the above photo, you can see both his claim of being a Marine as well as having a Lebanon pin. Here is a better photo of the Lebanon pin. 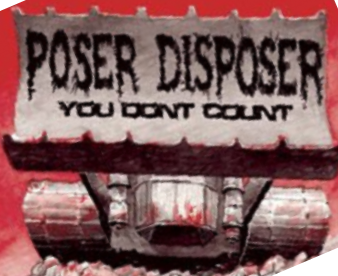 One merely has to visit his Facebook page to see the implied claim of USMC RECON. Or, his other Facebook page. Is there a pattern forming here? Then, there is the sniper claim. Most Marines would have their hands full with being RECON, but he claims he was a sniper on top of that. Here is the sniper claim in his own words. Note the logo from the above Facebook account. Then, there is the matter of charity work for veterans. Here, he writes to celebrity Mike Rowe of “Dirty Jobs” trying to get some help. He signs it as a USMC Disabled Vet. 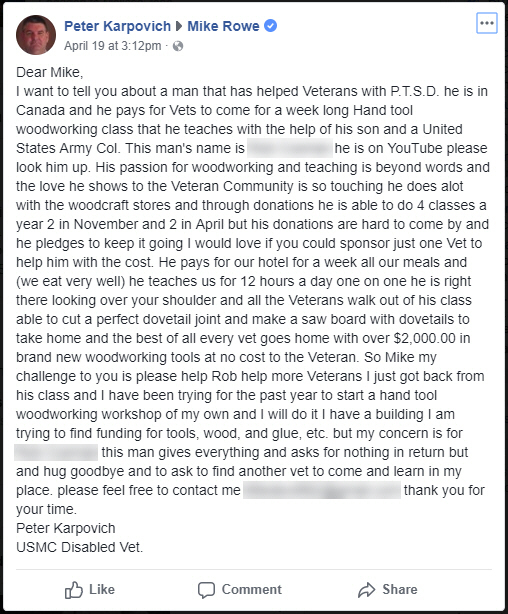 Then, Karpovich was on the local broadcast news talking about his work with veterans, inviting them into his home to work with wood. People were skeptical of the Lebanon claims. Men from both the RECON units and STA units in Lebanon were consulted and all said emphatically that Karpovich was not in their unit. Also, he was not one of the four known Marines on top of the building when it went down on 23 Oct 1983. There was one sniper, but his name was not Karpovich. 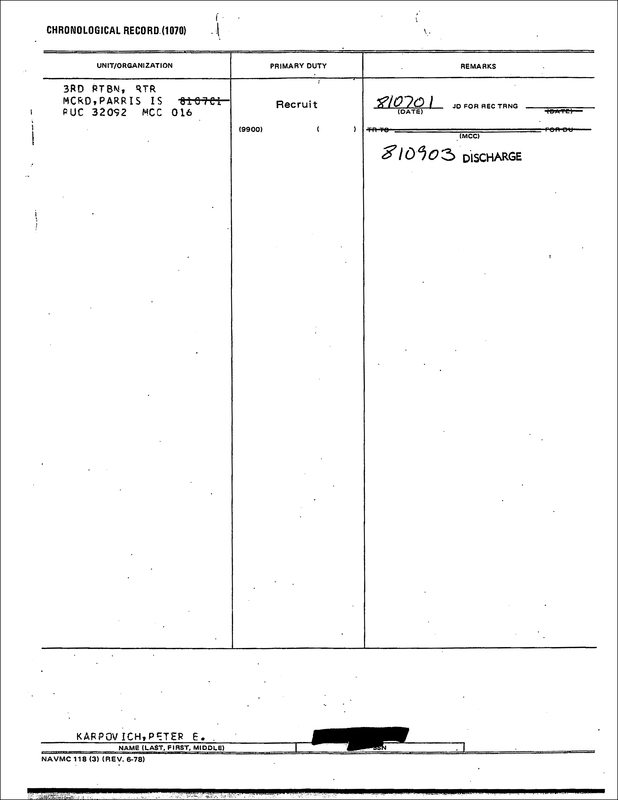 Karpovich’s military records were ordered through a Freedom of Information Act request with the National Personnel Records Center. . . . . .. . . . .. . . . .
Records show that Karpovich has fallen on hard times and was charged with food stamps fraud. 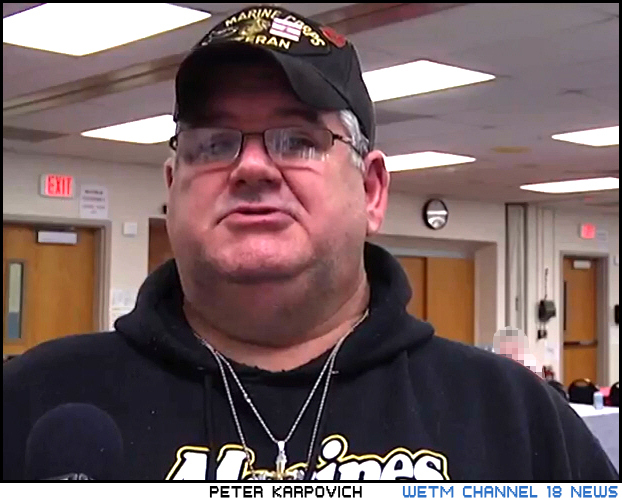 Peter Karpovich got out of the US Marine Corps as an E-1 after just 65 days. 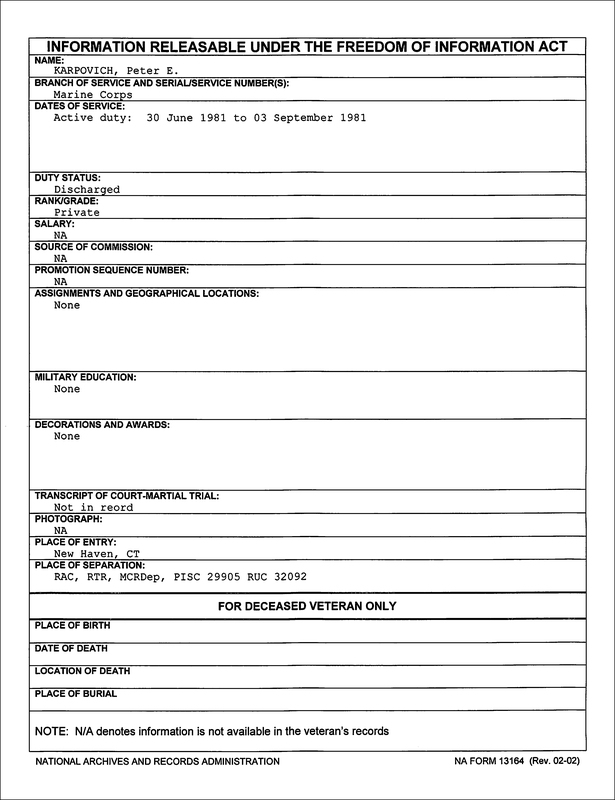 On the third page of his FOIA-obtained military records, it states that he was discharged prior to completing recruit training (boot camp). Many Marines will make the case that you are not a Marine unless you finish boot camp and are bestowed that honor. That said, he could have gotten out with a medical discharge if he was injured in boot camp. If that was the case, it may be truthful to label himself a “disabled veteran.” We simply cannot confirm from the records. In any case, he was not in RECON, he was not a sniper and he was not in Beirut, Lebanon when the Marine Barracks was bombed in Oct 1983. 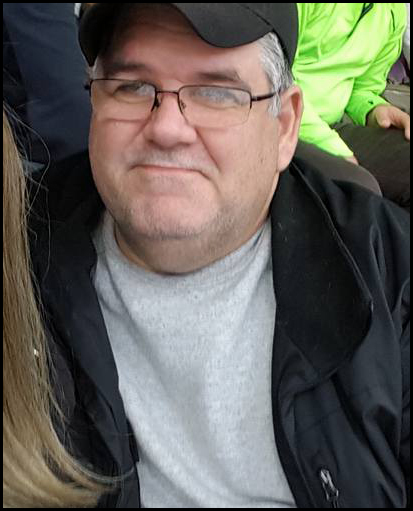 He was not even in the Marine Corps, having gotten out in 1981. If you go to the 28-30 second mark of the news video posted above, he claims that “A lot of us have lived that, after we came back…” when speaking about hardships. 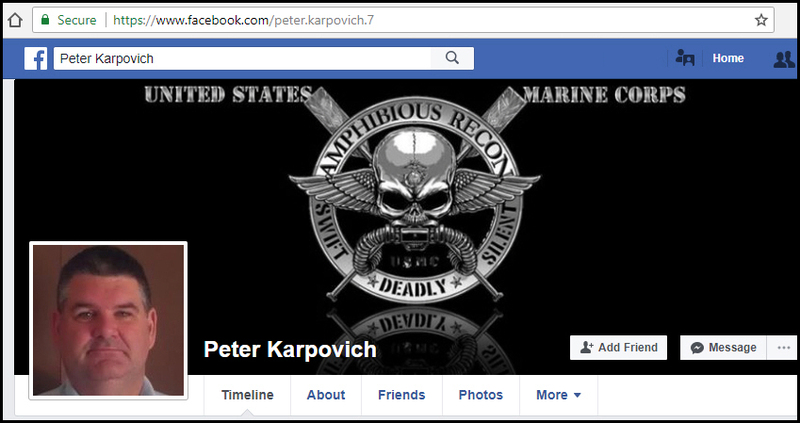 This begs the question — if Karpovich never completed boot camp, where did he “come back” from? From a Facebook comment that Karpovich left on a woodworking group. 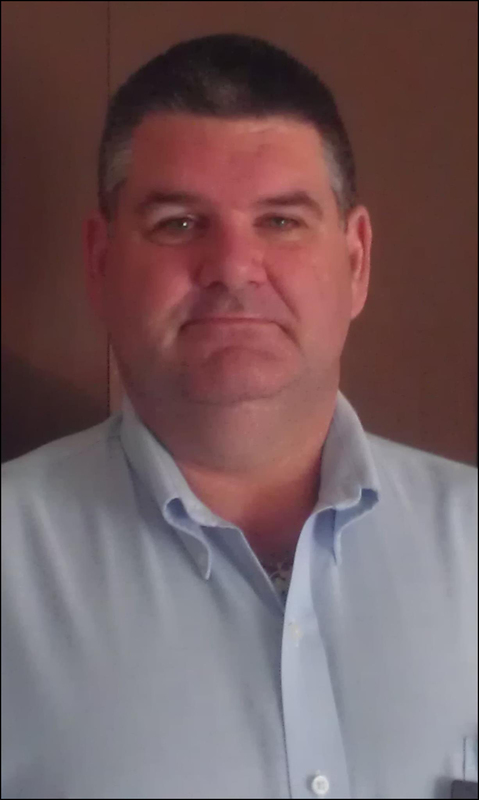 There is implied wounding while in Lebanon as he claims to have woken up in a hospital, so repeating this story may put Peter in direct conflict with Stolen Valor laws, especially if there were financial gains from his claims with any charity work. 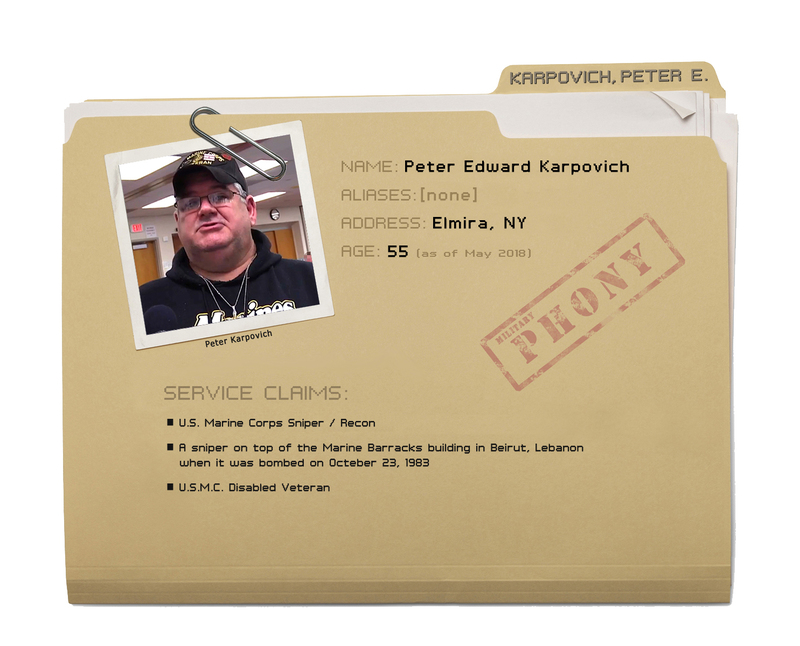 Peter Karpovich’s military records do not support his claims. Never earned the title. His course was time accurate. Seeing I was in PI in 81 Jun and in Lebanon in 84 but he couldn’t cut it in 3rd bn. PI. POS no doubt. You people should have more important things to do with your God given lives than slander good people and their families! 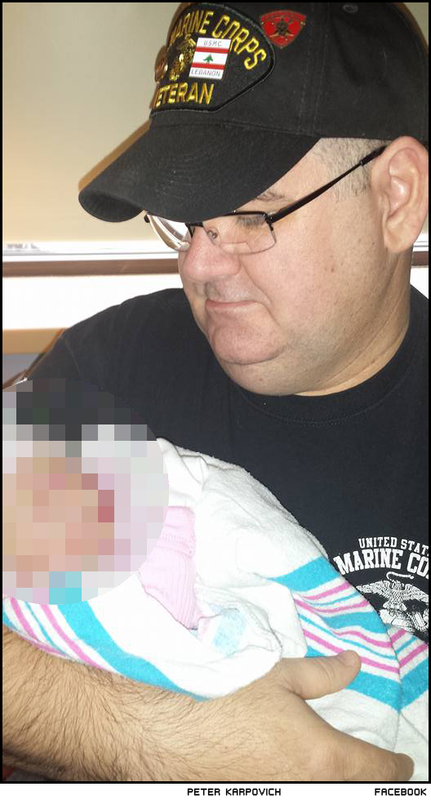 I have read so many of your incomplete stories and untrue accusations slandering so many good HONEST military people that I have figured out how low lives really get by in this world. I pray for you all to be forgiven and blessed by the Lord! Have a blessed life. It’s only slander if it’s not true. The supporting documentation is provided, so if you have something to refute what is listed feel free. I’m so sick and tired of these posers claiming “anything”. Why not just claim yourself a damn fake or lowlife. It’s bad enough we have real “Root” vets claiming things that they have not done or were involved in. Please just stop. 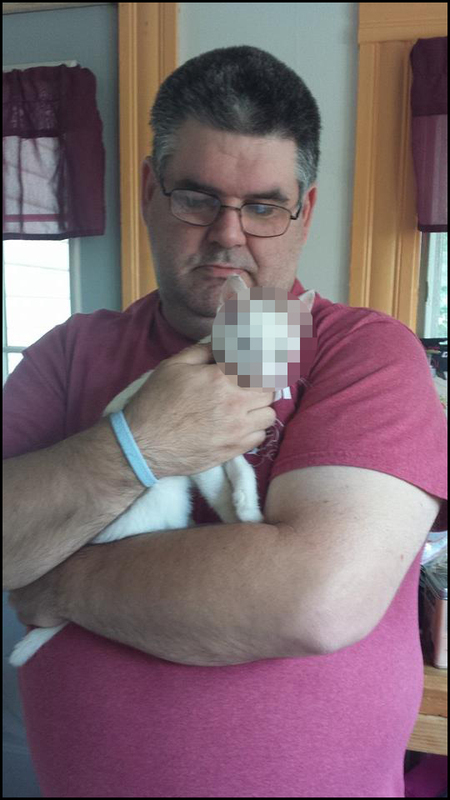 This asshat didn’t even finish what he started…boot camp. POS!